The holidays are just around the corner, and many parents and grandparents may be wondering what gift could they give children that would make a lasting impression, perhaps not on the gift-giving day, but years down the road and long into their futures. Have you considered opening or contributing to a 529 plan? 529 plans help families save for college. The name “529” refers to Section 529 of the IRS tax code that gives these plans special tax breaks to encourage saving. There’s no doubt your children or grandchildren will benefit from higher education. Studies show that a college degree is worth nearly a million dollars in lifetime earnings. College tuition is an investment in their future. 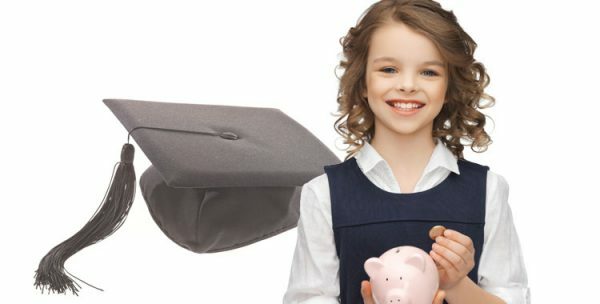 The Pennsylvania 529 College Savings Program offers two savings plans. The Pennsylvania 529 Guaranteed Savings Plan (GSP) is a lower-risk plan that helps your savings keep pace with rising tuition. The PA 529 Investment Plan (IP) lets you choose from 13 investment options from The Vanguard Group. Compare plans at www.pa529.com/plan/#works-for-you. Use the money to pay for college, many technical and career schools, and qualified expenses. There are no income limits, and anyone can contribute. Grandparents, aunts, uncles, and family friends can all help your student pay for college. • State tax deduction. You can deduct your contributions from your Pennsylvania taxable income up to $14,000 per beneficiary per year. Married couples can deduct up to $28,000 per beneficiary per year, provided each spouse has taxable income of at least $14,000. • Tax-deferred growth. Your contributions grow free of federal and Pennsylvania income taxes while they remain in the account. • Gift and inheritance tax benefits. Section 529 plans also provide unique gift and inheritance tax benefits, including a special provision for gifts larger than the normal limit. And unlike other gifts, the account owner retains complete control over the contributions. Learn more about these tax advantages at www.pa529.com/plan/#estate-planning. Assets held in a Pennsylvania 529 plan are not counted when determining state financial aid for college. Assets in any other state 529 plan are counted. Pennsylvania 529 assets are also protected from creditors in Pennsylvania. Assets in out-of-state plans are not protected. Another unique benefit to Pennsylvania 529 plans is the SAGE Scholars Tuition Rewards program, which offers tuition discounts to more than 300 private colleges nationwide, including more than 50 in Pennsylvania. Looking for more ways to boost your college savings? Pennsylvania Treasury has partnered with nationally recognized programs to help you save more money. You can easily link these programs to your Pennsylvania 529 account. Earn free money from Upromise. Upromise is an online service designed to help families earn extra money for college when you shop online or in stores, eat out, buy groceries, travel, and more. You can join Upromise online after enrolling in Pennsylvania 529, or by going directly to www.upromise.com/pa. Your accounts can be linked so money in your Upromise account gets automatically transferred to your Pennsylvania 529 account. Grandparents, aunts, uncles, and family friends can join Upromise and direct their rebates into your Upromise account, too. Upromise is an optional service, separate from Pennsylvania 529, and not affiliated with the commonwealth or the Treasury Department. Specific terms and conditions apply. Visit www.upromise.com to learn more. 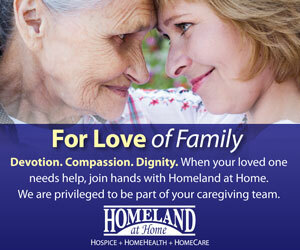 • Let friends and family help. Ugift is an innovative way to invite family and friends to celebrate birthdays and holidays with the gift of college savings. To get started, log in to www.pa529.com/my-account and click Ugift in the sidebar. Ugift is an optional service, separate from Pennsylvania 529, and not affiliated with the commonwealth or the Treasury Department. Specific terms and conditions apply. • Make private colleges more affordable. SAGE Scholars Tuition Rewards is a free scholarship program that helps families earn tuition reward points that reduce the cost of undergraduate tuition at participating private colleges and universities. Each quarter you earn tuition rewards equal to 2.5 percent of the value of your Pennsylvania 529 account—adding up to approximately 10 percent per year. 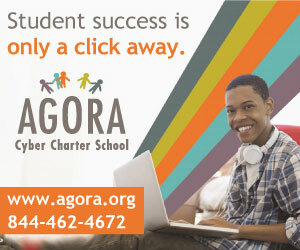 Each point is worth $1 in scholarships at SAGE member schools. Tuition Rewards costs nothing to join. It’s easy to get started—just sign up when you open your Pennsylvania 529 account. To track your SAGE Rewards, to get more information, and to receive a 500-point bonus, register and visit your account at www.tuitionrewards.com. You’ll get another 500-point bonus for each child that has a Pennsylvania 529 account. SAGE Scholars’ Tuition Rewards is an optional service, separate from Pennsylvania 529, and not affiliated with the commonwealth or the Treasury Department. Specific terms and conditions apply. Contact support@sagescholars.com for more information. *The availability of tax or other benefits may be contingent on meeting other requirements. A withdrawal or portion of a withdrawal, not used for qualified expenses, may be subject to state and local income taxes. The earnings portion of the withdrawal will be subject to federal income tax and, with a few exceptions, an additional 10 percent federal income tax penalty. **In the event the contributor doesn’t survive the five-year period, a pro-rated amount may revert to the contributor’s taxable estate. Upon the account owner’s death, ownership and control pass as explained in the Pennsylvania 529 Disclosure Statement. The Pennsylvania 529 College Savings Program sponsors two plans: the Pennsylvania 529 Guaranteed Savings Plan (GSP) and the Pennsylvania 529 Investment Plan (IP). The guarantee of the Pennsylvania 529 Guaranteed Savings Plan is an obligation of the GSP Fund, not the Commonwealth of Pennsylvania or any state agency. Before investing in either plan, please carefully read that plan’s disclosure statement to learn more about that plan including investment objectives, risks, and tax implications.